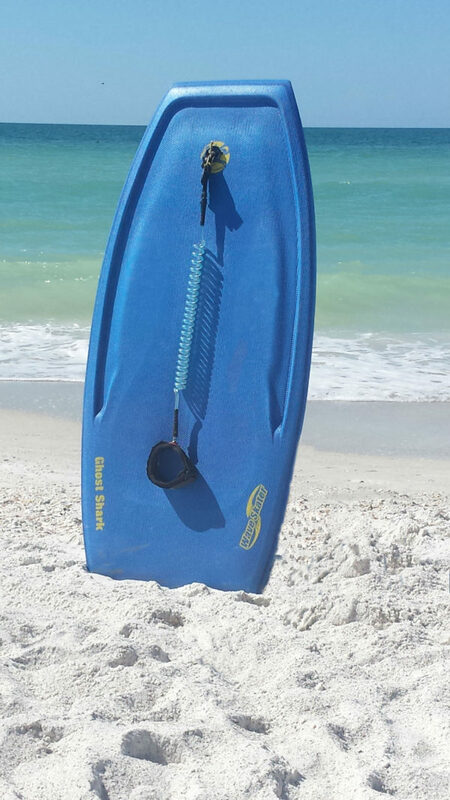 The Deluxe Boogie board is what you need for any larger teenager or adult to try and catch some waves while out on our Gulf. This is a professional boogie board. The difference for the deluxe boogie board is that it can hold up to 250 pounds. The board is made from enforced material making it sturdy to use and has a strap attached to it so you won’t be spending time chasing your board down the beach. Take a ride on the party barge! These versatile floats provide fun for the whole family! Try surfing, laying, or diving. These floats can fit about 6 people!